My team want to go with a UN Peacekeeper-style loadout. 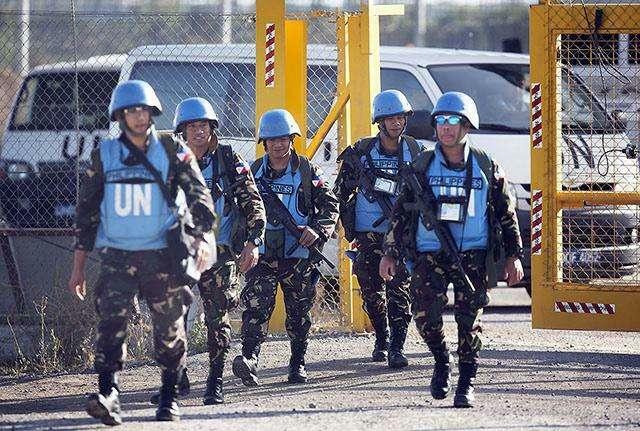 Does anyone know if (or where) I'd be able to get a light blue beret like the UN use? Any help would be great. You chaps are going to be some easy targets. Cool idea btw, but yea, hiding might be a tad bit difficult! Even worse if they follow UN rules of engagement and can only return fire once fired upon. They could just camp out around the safe zone or set up a checkpoint and then surrender when challenged. I liked it. Might try it myself.